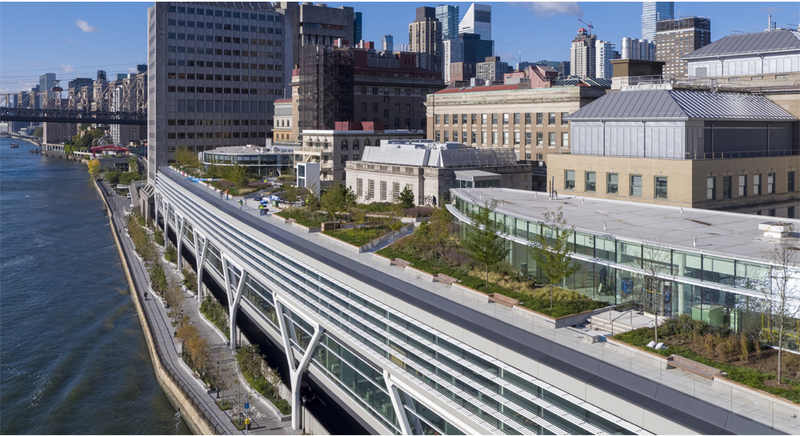 Construction of the Stavros Niarchos Foundation–David Rockefeller River Campus, now nearing completion, was possible thanks to over $340 million in donations. Photo by Halkin Mason. The university’s current fundraising campaign, which began in 2011 with the goal of raising $940 million to advance Rockefeller science, will close a year ahead of schedule after exceeding its goal by tens of millions of dollars. The Campaign for Transforming Biomedicine, originally conceived with a nine-year lifespan, will instead close at the end of June of 2019 with over $1 billion in donations. Among the most visible results of the campaign’s success are the construction of the Stavros Niarchos Foundation–David Rockefeller River Campus, and the nearly two dozen modern laboratories that will be housed within it. Nonetheless, fundraising for this construction accounts for only a third of the funds raised; the remainder goes directly to programmatic support including faculty recruitment, new scientific programs, translational research, cutting-edge technological tools, and support for trainees. Over the course of the campaign, the university recruited 12 tenure-track faculty and five tenured faculty—with all startup costs paid for by philanthropy. “This represents a fantastic investment in the future of science at our university,” Lifton says. The Campaign for Transforming Biomedicine, started under the administration of former president Marc Tessier-Lavigne, was developed alongside the 2012 university strategic plan. That plan outlined priorities for the university’s investments in science, infrastructure, personnel, and technology. Translational research projects, including drug-discovery work in the Tri-Institutional Therapeutics Discovery Institute, the Robertson Therapeutic Development Fund, and the Center for Basic and Translational Research on Disorders of the Digestive System. New technological tools, including the Evelyn Gruss Lipper Cryo-Electron Microscopy Resource Center, the Precision Instrumentation Technology facility, the Bio-Imaging Resource Center, and the High Performance Computing facility. Specific equipment funded by the campaign includes three cryo-EMs, a five-axis CNC milling machine, a spectrum of new optical microscopy equipment, and a computing cluster with more than 4,000 cores. Fellowships for postdocs and graduate students. Outreach initiatives such as the Summer Undergraduate Research Fellowship Program and RockEDU. In addition, a significant portion of the university’s annual operating budget, 20 percent, comes directly from private gifts. The university received major leadership gifts from a wide range of benefactors, including Russell and Judith Carson, Henry and Marie-Josée Kravis, Marlene Hess, Anne T. and Robert M. Bass, Michael and Denise Kellen, Debra and Leon Black, James and Marilyn Simons, the late Marjorie Matheson, the estate of Donald A. Pels, and The Kavli Foundation. Notably, donations to the campaign have come from supporters with diverse ties to the university and income levels. Trustees contributed more than half of the total, reflecting their close association with the university and its mission. But there have been more than 12,000 donations in all, ranging from just a few dollars to tens of millions. Faculty, staff, and alumni also gave generously. A wonderful gift was received from the late Nobel Laureate Günter Blobel and his wife, Laura Maioglio, and testamentary support was provided by Jules Hirsch, former physician in chief of the Rockefeller Hospital; Peter Model, an emeritus faculty member; Lila Magie, director of faculty administration and corporate secretary to the Board of Trustees; and Alan Fischman, an alumnus and a longtime associate professor of radiology at Massachusetts General Hospital.